Home Letters Are the GRA boss and Police Commissioner asleep? Are the GRA boss and Police Commissioner asleep? 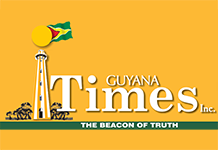 There is a crisis in this country, and it is being ignored by the Guyana Revenue Authority and the Guyana Police Force. Due to the neglect by these two Government entities, unscrupulous persons are blatantly violating our laws with impunity, and contributing to the social decay of our country. A causal walk around Georgetown and the country would reveal numerous illegal rum shops and beer gardens at every corner, sometimes many such outfits are in one corner, in full view of everyone. Illegal rum shops exist with mobile freezers, the owners of which outwardly claim to sell just snacks and soft drinks, but they carry a full line of beers, and in many cases a variety of liquors. I saw illegal rum shops also in markets and at major street corners. We know of the social ills related to alcohol use, and the destruction of homes and lives, with the attendant crimes also. Our young people are become drunkards at a very early age due to the failure of Guyana Revenue Authority and the Guyana Police Force to regulate the sale of liquor and prosecute the law breakers. It is clear that the GRA and the Guyana Police Force are turning a blind eye on this scourge affecting our nation. What is really happening to our country? Are we promoting a nation of drunkards? Why are the Guyana Revenue Authority and the Guyana Police Force promoting these illegal beer gardens and rum shops? It has to be that they are promoting them, since they have allowed them to operate all over the place and at all hours. There is blatant disregard for our laws, and the promotion of lawlessness and drunkenness among our youths and older people. These mobile freezers and makeshift rum shops have no standards, and are not accountable to anyone. Some of them also play loud music, which disturbs neighbours, and some also sell food in unsanitary conditions. I have had the unfortunate experience of witnessing my underage grandson become a drunkard at these corner freezer rum shops, and his underage friends are the same way. Are there not laws governing who can sell liquor, and where it can be sold? Do these makeshift illegal shops pay taxes, or obtain all the approvals or licences to sell liquor and beer? Of least concern to me is the competition that they give to approved rum shops and beer gardens, but isn’t that unfair competition to those registered and licensed rum shops and beer gardens? Is this what we are promoting to foreign visitors and our young people? It is time for GRA Commissioner Godfrey Statia and Police Commissioner Leslie James to wake up from their slumber and enforce the laws, and close down these freezer rum shops and other illegal shops selling liquor and beer.